Cotton Mather /ˈmæðər/ FRS (February 12, 1663 – February 13, 1728; A.B. 1678, Harvard College; A.M. 1681, honorary doctorate 1710, University of Glasgow) was a New England Puritan minister, prolific author, and pamphleteer. He left a scientific legacy due to his hybridization experiments and his promotion of inoculation for disease prevention, though he is most frequently remembered today for his involvement in the Salem witch trials. He was subsequently denied the presidency of Harvard College which his father, Increase Mather, had held. Mather's relationship with his father Increase Mather is thought by some to have been strained and difficult. Increase was a pastor of the North Square Church and president of Harvard College; he led an accomplished life. Despite Cotton's efforts, he never became quite as well known and successful in politics as his father. He did surpass his father's output as a writer, writing more than 400 books. One of the most public displays of their strained relationship emerged during the witch trials, which Increase Mather reportedly did not support. Cotton Mather helped convince Elihu Yale to make a donation to a new college in New Haven which became Yale College. The afflicted girls claimed that the semblance of a defendant, invisible to any but themselves, was tormenting them; this was considered evidence of witchcraft, despite the defendant's denial and profession of strongly held Christian beliefs. On May 31, 1692, Mather wrote to one of the judges, John Richards, a member of his congregation,[page needed] expressing his support of the prosecutions, but cautioning; "do not lay more stress on pure spectral evidence than it will bear … It is very certain that the Devils have sometimes represented the Shapes of persons not only innocent, but also very virtuous. Though I believe that the just God then ordinarily provides a way for the speedy vindication of the persons thus abused." An opinion on the matter was sought from the ministers of the area and a response was submitted June 15, 1692. Cotton Mather seems to take credit for the varied responses when anonymously celebrating himself years later: "drawn up at their desire, by Cotton Mather the younger, as I have been informed." The "Return of the Several Ministers" ambivalently discussed whether or not to allow spectral evidence. The original full version of the letter was reprinted in late 1692 in the final two pages of Increase Mather's Cases of Conscience. It is a curious document and remains a source of confusion and argument. Calef calls it "perfectly Ambidexter, giving as great as greater Encouragement to proceed in those dark methods, then cautions against them… indeed the Advice then given, looks most like a thing of his Composing, as carrying both Fire to increase and Water to quench the Conflagration." It seems likely that the "Several" ministers consulted did not agree, and thus Cotton Mather's construction and presentation of the advice could have been crucial to its interpretation. Thomas Hutchinson summarized the Return, "The two first and the last sections of this advice took away the force of all the others, and the prosecutions went on with more vigor than before." Reprinting the Return five years later in his anonymously published Life of Phips (1697), Cotton Mather omitted the fateful "two first and the last" sections, though they were the ones he had already given most attention in his "Wonders of the Invisible World" rushed into publication in the summer and early autumn of 1692. Mr. Buroughs [sic] was carried in a Cart with others, through the streets of Salem, to Execution. When he was upon the Ladder, he made a speech for the clearing of his Innocency, with such Solemn and Serious Expressions as were to the Admiration of all present; his Prayer (which he concluded by repeating the Lord's Prayer) [as witches were not supposed to be able to recite] was so well worded, and uttered with such composedness as such fervency of spirit, as was very Affecting, and drew Tears from many, so that if seemed to some that the spectators would hinder the execution. The accusers said the black Man [Devil] stood and dictated to him. As soon as he was turned off [hanged], Mr. Cotton Mather, being mounted upon a Horse, addressed himself to the People, partly to declare that he [Mr. Burroughs] was no ordained Minister, partly to possess the People of his guilt, saying that the devil often had been transformed into the Angel of Light. And this did somewhat appease the People, and the Executions went on; when he [Mr. Burroughs] was cut down, he was dragged by a Halter to a Hole, or Grave, between the Rocks, about two feet deep; his Shirt and Breeches being pulled off, and an old pair of Trousers of one Executed put on his lower parts: he was so put in, together with [John] Willard and [Martha] Carrier, that one of his Hands, and his Chin, and a Foot of one of them, was left uncovered. On September 2, 1692, after eleven of the accused had been executed, Cotton Mather wrote a letter to Chief Justice William Stoughton congratulating him on "extinguishing of as wonderful a piece of devilism as has been seen in the world" and claiming that "one half of my endeavors to serve you have not been told or seen." The later exclusion of spectral evidence from trials by Governor Phips, around the same time his own wife's (Lady Mary Phips) name coincidentally started being bandied about in connection with witchcraft, began in January 1693. This immediately brought about a sharp decrease in convictions. Due to a reprieve by Phips, there were no further executions. Phips's actions were vigorously opposed by William Stoughton. Bancroft notes that Mather considered witches "among the poor, and vile, and ragged beggars upon Earth", and Bancroft asserts that Mather considered the people against the witch trials to be witch advocates. Wonders of the Invisible World contained a few of Mather's sermons, the conditions of the colony and a description of witch trials in Europe. :335 He somewhat clarified the contradictory advice he had given in Return of the Several Ministers, by defending the use of spectral evidence. Wonders of the Invisible World appeared around the same time as Increase Mather's Cases of Conscience." —  October 20, 1692 letter to his uncle John Cotton. The last major events in Mather's involvement with witchcraft were his interactions with Mercy Short in December 1692 and Margaret Rule in September 1693. The latter brought a five year campaign by Boston merchant Robert Calef against the influential and powerful Mathers. Calef's book More Wonders of the Invisible World was inspired by the fear that Mather would succeed in once again stirring up new witchcraft trials, and the need to bear witness to the horrible experiences of 1692. He quotes the public apologies of the men on the jury and one of the judges. Increase Mather was said to have publicly burned Calef's book in Harvard Yard around the time he was removed from the head of the college and replaced by Samuel Willard. Poole was a librarian, and a lover of literature, including Mather's Magnalia "and other books and tracts, numbering nearly 400 [which] were never so prized by collectors as today." 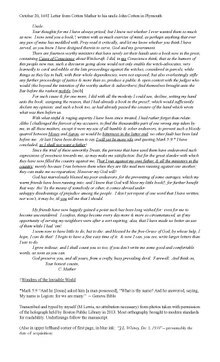 Poole announced his intention to redeem Mather's name, using as a springboard a harsh critique of a recently published tome by Charles Wentworth Upham, Salem Witchcraft Volumes I and II With an Account of Salem Village and a History of Opinions on Witchcraft and Kindred Subjects, which runs to almost 1,000 pages, and a quick search of the name Mather (referring to either father, son, or ancestors) shows that it occurs 96 times. Poole's critique, in book form, runs less than 70 pages but the name "Mather" occurs many more times than the other book, which is more than ten times as long. Upham shows a balanced and complicated view of Cotton Mather, such as this first mention: "One of Cotton Mather's most characteristic productions is the tribute to his venerated master. It flows from a heart warm with gratitude." Upham's book refers to Robert Calef no fewer than 25 times with the majority of these regarding documents compiled by Calef in the mid-1690s and stating: "Although zealously devoted to the work of exposing the enormities connected with the witchcraft prosecutions, there is no ground to dispute the veracity of Calef as to matters of fact." He goes on to say that Calef's collection of writings "gave a shock to Mather's influence, from which it never recovered." Calef produced only the one book; he is self-effacing and apologetic for his limitations, and on the title page he is listed not as author but "collector". Poole, champion of literature, cannot accept Calef whose "faculties, as indicated by his writings appear to us to have been of an inferior order;…", and his book "in our opinion, has a reputation much beyond its merits." Poole refers to Calef as Mather's "personal enemy" and opens a line, "Without discussing the character and motives of Calef…" but does not follow up on this suggestive comment to discuss any actual or purported motive or reason to impugn Calef. Upham responded to Poole (referring to Poole as "the Reviewer") in a book running five times as long and sharing the same title but with the clauses reversed: Salem Witchcraft and Cotton Mather.Many of Poole's arguments were addressed, but both authors emphasize the importance of Cotton Mather's difficult and contradictory view on spectral evidence, as copied in the final pages, called "The Return of Several Ministers", of Increase Mather's "Cases of Conscience". Evidenced by the published opinion in the years that followed the Poole vs Upham debate, it would seem Upham was considered the clear winner (see Sibley, GH Moore, WC Ford, and GH Burr below.). In 1891, Harvard English professor Barrett Wendall wrote Cotton Mather, The Puritan Priest. His book often expresses agreement with Upham but also announces an intention to show Cotton Mather in a more positive light. "[Cotton Mather] gave utterance to many hasty things not always consistent with fact or with each other…" And some pages later: "[Robert] Calef’s temper was that of the rational Eighteenth century; the Mathers belonged rather to the Sixteenth, the age of passionate religious enthusiasm." … I fear that they who begin by excusing their ancestors may end by excusing themselves. Perhaps as a continuation of his argument, in 1914, George Lincoln Burr published a large compilation "Narratives". This book arguably continues to be the single most cited reference on the subject. Unlike Poole and Upham, Burr avoids forwarding his previous debate with Kittredge directly into his book and mentions Kittredge only once, briefly in a footnote citing both of their essays from 1907 and 1911, but without further comment. But in addition to the viewpoint displayed by Burr's selections, he weighs in on the Poole vs Upham debate at various times, including siding with Upham in a note on Thomas Brattle's letter, "The strange suggestion of W. F. Poole that Brattle here means Cotton Mather himself, is adequately answered by Upham…" Burr's "Narratives" reprint a lengthy but abridged portion of Calef's book and introducing it he digs deep into the historical record for information on Calef and concludes "…that he had else any grievance against the Mathers or their colleagues there is no reason to think." Burr finds that a comparison between Calef's work and original documents in the historical record collections "testify to the care and exactness…"
1920–3 Kenneth B. Murdock wrote a doctoral dissertation on Increase Mather advised by Chester Noyes Greenough and Kittredge. Murdock's father was a banker hired in 1920 to run the Harvard Press and he published his son's dissertation as a handsome volume in 1925: Increase Mather, The Foremost American Puritan (Harvard University Press). Kittredge was right hand man to the elder Murdock at the Press. This work focuses on Increase Mather and is more critical of the son, but the following year he published a selection of Cotton Mather's writings with an introduction that claims Cotton Mather was "not less but more humane than his contemporaries. Scholars have demonstrated that his advice to the witch judges was always that they should be more cautious in accepting evidence" against the accused. Murdock's statement seems to claim a majority view. But one wonders who Murdock would have meant by "scholars" at this time other than Poole, Kittredge, and TJ Holmes (below) and Murdock's obituary calls him a pioneer "in the reversal of a movement among historians of American culture to discredit the Puritan and colonial period…"
1924 Thomas J. Holmes was an Englishman with no college education, but he apprenticed in bookbinding and emigrated to the U.S. and become the librarian at the William G. Mather Library in Ohio  where he likely met Murdock. In 1924, Holmes wrote an essay for the Bibliographical Society of America identifying himself as part of the Poole-Kittredge lineage and citing Kenneth B. Murdock's still unpublished dissertation. In 1932 Holmes published a bibliography of Increase Mather followed by Cotton Mather, A Bibliography (1940). Holmes often cites Murdock and Kittredge and is highly knowledgeable about the construction of books. 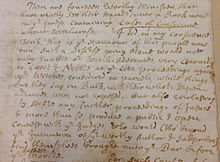 Holmes' work also includes Cotton Mather’s October 20, 1692 letter (see above) to his uncle opposing an end to the trials. 1930 Samuel Eliot Morison published Builders of the Bay Colony. Morison chose not to include anyone with the surname Mather or Cotton in his collection of twelve "builders" and in the bibliography writes "I have a higher opinion than most historians of Cotton Mather's Magnalia… Although Mather is inaccurate, pedantic, and not above suppresio veri, he does succeed in giving a living picture of the person he writes about." Whereas Kittredge and Murdock worked from the English department, Morison was from Harvard's history department. 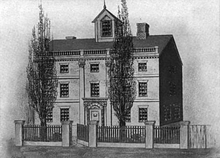 Morison's view seems to have evolved over the course of the 1930s, as can be seen in Harvard College in the Seventeenth Century (1936) published while Kittredge ran the Harvard press, and in a year that coincided with the tercentary of the college: "Since the appearance of Professor Kittredge's work, it is not necessary to argue that a man of learning…" of that era should be judged on his view of witchcraft. 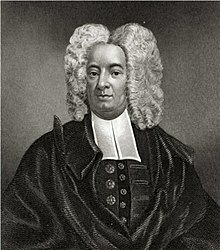 In The Intellectual Life of Colonial New England (1956), Morison writes that Cotton Mather found balance and level-thinking during the witchcraft trials. Like Poole, Morison suggests Calef had an agenda against Mather, without providing supporting evidence. 1953 Perry Miller published The New England Mind: From Colony to Province (Belknap Press of Harvard University Press). Miller worked from the Harvard English Department and his expansive prose contains few citations, but the "Bibliographical Notes" for Chapter XIII "The Judgement of the Witches" references the bibliographies of TJ Holmes (above) calling Holmes portrayal of Cotton Mather's composition of Wonders "an epoch in the study of Salem Witchcraft." However, following the discovery of the authentic holograph of the September 2, 1692 letter, in 1985, David Levin writes that the letter demonstrates that the timeline employed by TJ Holmes and Perry Miller, is off by "three weeks." Contrary to the evidence in the later arriving letter, Miller portrays Phips and Stoughton as pressuring Cotton Mather to write the book (p.201): "If ever there was a false book produced by a man whose heart was not in it, it is The Wonders….he was insecure, frightened, sick at heart…" The book "has ever since scarred his reputation," Perry Miller writes. Miller seems to imagine Cotton Mather as sensitive, tender, and a good vehicle for his jeremiad thesis: "His mind was bubbling with every sentence of the jeremiads, for he was heart and soul in the effort to reorganize them. 1969 Chadwick Hansen Witchcraft at Salem. Hansen states a purpose to "set the record straight" and reverse the "traditional interpretation of what happened at Salem…" and names Poole and Kittredge as like-minded influences. (Hansen reluctantly keys his footnotes to Burr's anthology for the reader's convenience, "in spite of [Burr's] anti-Puritan bias…") Hansen presents Mather as a positive influence on the Salem Trials and considers Mather's handling of the Goodwin children sane and temperate. Hansen posits that Mather was a moderating influence by opposing the death penalty for those who confessed—or feigned confession—such as Tituba and Dorcas Good, and that most negative impressions of him stem from his "defense" of the ongoing trials in Wonders of the Invisible World. Writing an introduction to a facsimile of Robert Calef's book in 1972, Hansen compares Robert Calef to Joseph Goebbels, and also explains that, in Hansen's opinion, women "are more subject to hysteria than men." 1971 The Admirable Cotton Mather by James Playsted Wood. A young adult book. In the preface, Wood discusses the Harvard-based revision and writes that Kittredge and Murdock "added to a better understanding of a vital and courageous man…"
1985 David Hall writes, "With [Kittredge] one great phase of interpretation came to a dead end." Hall writes that whether the old interpretation favored by "antiquarians" had begun with the "malice of Robert Calef or deep hostility to Puritanism," either way "such notions are no longer… the concern of the historian." But David Hall notes "one minor exception. Debate continues on the attitude and role of Cotton Mather…"
Coinciding with the tercentary of the trials in 1992, there was a flurry of publications. By 1721, a whole generation of young Bostonians was vulnerable and memories of the last epidemic's horrors had by and large disappeared. On April 22 of that year, HMS Seahorse arrived from the West Indies carrying smallpox on board. Despite attempts to protect the town through quarantine, eight known cases of smallpox appeared in Boston by May 27, and by mid-June, the disease was spreading at an alarming rate. As a new wave of smallpox hit the area and continued to spread, many residents fled to outlying rural settlements. The combination of exodus, quarantine, and outside traders' fears disrupted business in the capital of the Bay Colony for weeks. Guards were stationed at the House of Representatives to keep Bostonians from entering without special permission. The death toll reached 101 in September, and the Selectmen, powerless to stop it, "severely limited the length of time funeral bells could toll." As one response, legislators delegated a thousand pounds from the treasury to help the people who, under these conditions, could no longer support their families. On June 6, 1721, Mather sent an abstract of reports on inoculation by Timonius and Jacobus Pylarinus to local physicians, urging them to consult about the matter. He received no response. Next, Mather pleaded his case to Dr. Zabdiel Boylston, who tried the procedure on his youngest son and two slaves—one grown and one a boy. All recovered in about a week. Boylston inoculated seven more people by mid-July. The epidemic peaked in October 1721, with 411 deaths; by February 26, 1722, Boston was again free from smallpox. The total number of cases since April 1721 came to 5,889, with 844 deaths—more than three-quarters of all the deaths in Boston during 1721. Meanwhile, Boylston had inoculated 287 people, with six resulting deaths. The New-England Courant published writers who opposed the practice. The editorial stance was that the Boston populace feared that inoculation spread, rather than prevented, the disease; however, some historians, notably H. W. Brands, have argued that this position was a result of the contrarian positions of editor-in-chief James Franklin (a brother of Benjamin Franklin). Public discourse ranged in tone from organized arguments by John Williams from Boston, who posted that "several arguments proving that inoculating the smallpox is not contained in the law of Physick, either natural or divine, and therefore unlawful", to those put forth in a pamphlet by Dr. William Douglass of Boston, entitled The Abuses and Scandals of Some Late Pamphlets in Favour of Inoculation of the Small Pox (1721), on the qualifications of inoculation's proponents. (Douglass was exceptional at the time for holding a medical degree from Europe.) 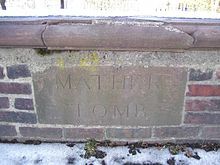 At the extreme, in November 1721, someone hurled a lighted grenade into Mather's home. Puritans found meaning in affliction, and they did not yet know why God was showing them disfavor through smallpox. Not to address their errant ways before attempting a cure could set them back in their "errand". Many Puritans believed that creating a wound and inserting poison was doing violence and therefore was antithetical to the healing art. They grappled with adhering to the Ten Commandments, with being proper church members and good caring neighbors. The apparent contradiction between harming or murdering a neighbor through inoculation and the Sixth Commandment—"thou shalt not kill"—seemed insoluble and hence stood as one of the main objections against the procedure. Williams maintained that because the subject of inoculation could not be found in the Bible, it was not the will of God, and therefore "unlawful." He explained that inoculation violated The Golden Rule, because if one neighbor voluntarily infected another with disease, he was not doing unto others as he would have done to him. With the Bible as the Puritans' source for all decision-making, lack of scriptural evidence concerned many, and Williams vocally scorned Mather for not being able to reference an inoculation edict directly from the Bible. Although Mather and Boylston were able to demonstrate the efficacy of the practice, the debate over inoculation would continue even beyond the epidemic of 1721–22. After overcoming considerable difficulty and achieving notable success, Boylston traveled to London in 1725, where he published his results and was elected to the Royal Society in 1726, with Mather formally receiving the honor two years prior. Throughout his career Mather was also keen to minister to convicted pirates. He produced a number of pamphlets and sermons concerning piracy, including “Faithful Warnings to prevent Fearful Judgments,” “Instructions to the Living, from the Condition of the Dead,” “The Converted Sinner ... A Sermon Preached in Boston, May 31, 1724, In the Hearing and at the Desire of certain Pirates,” “A Brief Discourse occasioned by a Tragical Spectacle of a Number of Miserables under Sentence of Death for Piracy,” “Useful Remarks. An Essay upon Remarkables in the Way of Wicked Men,” and “The Vial Poured Out Upon the Sea”. His father Increase had preached at the trial of Dutch pirate Peter Roderigo; Cotton Mather in turn preached at the trials and sometimes executions of pirate Captains (or the crews of) William Fly, John Quelch, Samuel Bellamy, William Kidd, Charles Harris, and John Phillips. He also ministered to Thomas Hawkins, Thomas Pound, and William Coward; having been convicted of piracy, they were jailed alongside “Mary Glover the Irish Catholic witch,” daughter of witch “Goody” Ann Glover at whose trial Mather had also preached. Magnalia Christi Americana, considered Mather's greatest work, was published in 1702, when he was 39. The book includes several biographies of saints[vague] and describes the process of the New England settlement. In this context "saints" does not refer to the canonized saints of the Catholic church, but to those Puritan divines about whom Mather is writing. It comprises seven total books, including Pietas in Patriam: The life of His Excellency Sir William Phips, originally published anonymously in London in 1697. Despite being one of Mather's best-known works, some have openly criticized it[by whom? ], labeling it as hard to follow and understand, and poorly paced and organized. However, other critics have praised Mather's work, citing it as one of the best efforts at properly documenting the establishment of America and growth of the people. ——— (1911–1912), Diary, Collections, vii–viii (vii), Massachusetts Historical Society . ——— (1995), Smolinski, Reiner (ed. ), The Threefold Paradise of Cotton Mather: An Edition of 'Triparadisus', Athens and London: University of Georgia Press, ISBN 0-8203-1519-2 . ——— (2010), Smolinski, Reiner (ed. ), Biblia Americana (edited, with an introduction and annotations), 1: Genesis, Grand Rapids and Tuebingen: Baker Academic and Mohr Siebeck, ISBN 978-0-8010-3900-3 . ^ a b Sibley, John Langdon (1885). Biographical Sketches of Graduates of Harvard University in Cambridge, Massachusetts, Volume III. Cambridge: Charles William Sever, University Bookstore. ^ Forty of Boston's historic houses, State Street Trust Co, 1912 . ^ Hostetter, Margaret Kendrick (April 5, 2012). "What We Don't See". The New England Journal of Medicine. 366: 1328–34. doi:10.1056/NEJMra1111421. Retrieved April 6, 2012. ^ Middlekauff, Robert (1999), The Mathers: Three Generations of Puritan Intellectuals, 1596–1728, Los Angeles, CA: University of California Press . ^ Profile, Yale University, archived from the original on April 8, 2009, retrieved December 25, 2014 . ^ Werking, Richard H (1972). ""Reformation Is Our Only Preservation": Cotton Mather and Salem Witchcraft". The William and Mary Quarterly. 29: 283. ^ Ronan, John (2012). ""Young Goodman Brown" and the Mathers". The New England Quarterly. 85: 264–265. doi:10.1162/tneq_a_00186. ^ Harley, David (1996). "Explaining Salem: Calvinist Psychology and the Diagnosis of Possession". The American Historical Review. 101: 315–316. doi:10.2307/2170393. ^ Upham, Charles Wentworth (September 1869). "Salem Witchcraft and Cotton Mather". The Historical Magazine and Notes and Queries Concerning the Antiquities, History and Biography of America. Second. Vol. VI no. 3. Morrisania, NY: Henry B. Dawson. p. 140. Retrieved 2016-04-02. ^ Bancroft 1874–1878, p. 83. ^ Bancroft 1874–1878, p. 84. ^ Stacy Schiff. "The Witches of Salem: Diabolical doings in a Puritan village", The New Yorker, September 7, 2015, pp. 46-55. ^ Wonders of the Invisible World . ^ Mather, Cotton (1971). Silverman, Kenneth (ed.). Selected Letters. Baton Rouge, Louisiana: Louisiana State University Press. pp. 35–40. ISBN 0-8071-0920-7. ^ Anonymous (1697), The Life of Sir William Phips, London, UK . ^ Calef 1823, pp. 301–03. ^ a b Upham, Charles (1859), Salem Witchcraft, New York: Frederick Ungar, ISBN 0-548-15034-6 . ^ Bancroft 1874–1878, p. 85. ^ Bancroft 1874–1878, p. 98. ^ Levy, Babette (1979). Cotton Mather. Boston: Twayne. ISBN 0-8057-7261-8. ^ Hansen 1969, p. 209. ^ a b Breslaw 2000, p. 455. ^ Holmes, Thomas James (1974), Cotton Mather: A Bibliography of His Works, Crofton . ^ Lovelace 1979, p. 202. ^ MHS secretary John Eliot seems to be the first to make this claim in "Biographical Dictionary" (Boston and Salem, 1809) PD available online. p 95-6. ^ Lovelace 1979, p. 22. ^ Mather, Witchcraft, University of Virginia . ^ GL Burr, England's Place in the History of Witchcraft" AAS, pp 4-5. These page numbers refer to original book format, available PD online. Also see link to PDF from AAS. ^ GL Burr, NE Place in Witchcraft, 1911, p 35. ^ Burr, George Lincoln. Narrative of Witchcraft Cases 1648–1706. PD available online. p xxi footnote 1. ^ Burr, George Lincoln. Narrative of Witchcraft Cases 1648–1706. PD available online. p 188 footnote 3. ^ Burr, George Lincoln. Narrative of Witchcraft Cases 1648–1706. PD available online. p 293. ^ Max Hall Harvard University Press, p 43, 61. ^ K Murdock Selections from Cotton Mather (Hafner, New York, 1926). See introduction. ^ For contrast, see Herbert Schneider, of Columbia University, who in 1930 described the Mathers as "smug ministers of God" whose misdeeds in 1692 "put an official end to the theocracy." Schneider, Herbert Wallace, The Puritan Mind, Henry Holt & Co, 1930, p. 92. ^ See link above containing obituary by CK Shipley in AAS Proceedings. ^ Detweiler, Robert (1975). "Shifting Perespectives on the Salem Witches". The History Teacher. 8: 598. ^ David Levin, "Did the Mather's Disagree About the Salem Witchcraft Trials" (AAS, 1985) p.35. Levin's answer to the question presented in his title would seem to be no, the Mathers did not fundamentally disagree. ^ Hansen 1969, p. 168. ^ Hansen 1969, pp. 23-24. ^ Hansen 1969, p. 189. ^ Chadwick Hansen introduction to Robert Calef "More Wonders" (York Mail-Print, 1972) pp. v, xv note 4. ^ David D Hall, "Witchcraft and the Limits of Interpretation" NEQ Vol 58 No. 2 (June, 1985) see p 261-3. https://www.jstor.org/stable/365516 Note, Hall doesn't mention the September 2, 1692 letter in this essay and no subsequent mention of the letter in his later publications has been located. ^ Ken Silverman Selected Letters of Cotton Mather, (Louisiana, 1971) p 31. ^ See link to this letter for a complex discussion of the provenance, as it did not arrive at the archives until 1985. ^ Demos, John (2004). Entertaining Satan: Witchcraft and the Culture of Early New England. Oxford, UK: Oxford University Press. ISBN 0-19-503131-8. ^ Gregg, Larry (1992). The Salem Witch Crisis. New York: Praeger. ^ Needham, Joseph (2000), Part 6, Medicine, Science and Civilization in China, 6. Biology and Biological Technology, Cambridge, UK: Cambridge University Press, p. 154 . ^ Gronim 2007, p. 248. ^ Best, M (2007). "Making the right decision: Benjamin Franklin's son dies of smallpox in 1736". Qual Saf Health Care. 16 (6): 478–80. doi:10.1136/qshc.2007.023465. PMC 2653186. PMID 18055894. ^ Mather 1911–1912, pp. 11, 628. ^ Blake 1952, p. 493. ^ Blake 1952, p. 495. ^ Niederhuber, Matthew (December 31, 2014). "The Fight Over Inoculation During the 1721 Boston Smallpox Epidemic". Harvard University. ^ Williams 1721, p. 13. ^ Douglass 1722, p. 11. ^ Van de Wetering 1985, p. 46. ^ Heimert, Alan, Religion and the American Mind, p. 5 . ^ Williams 1721, p. 4. ^ Mather 1721, p. 25, n. 15. ^ Mather 1721, p. 2. ^ Van de Wetering 1985, p. 66, n. 55. ^ Flemming, Gregory N. (2014). At the Point of a Cutlass: The Pirate Capture, Bold Escape, and Lonely Exile of Philip Ashton. Lebanon NH: ForeEdge. ISBN 9781611685626. Retrieved 21 May 2018. ^ Edmonds, John Henry (1918). Captain Thomas Pound. Cambridge MA: J. Wilson and son. pp. 32–44. Retrieved 6 October 2017. ^ Mather, Cotton (1726). The vial poured out upon the sea. A remarkable relation of certain pirates brought unto a tragical and untimely end. Some conferences with them, after their condemnation. Their behaviour at their execution. And a sermon preached on that occasion. : [Two lines from Job]. Boston: Printed by T. Fleet, for N. Belknap. Retrieved 21 May 2018. ^ Hovey 2009, p. 533. ^ Smolinski 2009, pp. 280–81. ^ Mather, Cotton (2008). True Crime: An American Anthology. Library of America. ISBN 978-1-59853-031-5. Retrieved December 10, 2015. ^ Meyers 2006, pp. 23–24. ^ Halttunen 1978, p. 311. ^ "Thanksgiving's Wampanoag call: Come Over and Help Us!". Josiah Cotton. To every tribe. Archived from the original on June 10, 2015. Retrieved September 13, 2015. Bercovitch, Sacvan (1972), "Cotton Mather", in Emerson, Everett (ed. ), Major Writers of Early American Literature, Wisconsin: University of Wisconsin Press . Hovey, Kenneth Alan (2009), "Cotton Mather: 1663–1728", in Lauter, Paul (ed. ), Heath Anthology of American Literature, A, Boston: Houghton Mifflin Harcourt, pp. 531–33 . Smolinski, Reiner (2006), "Authority and Interpretation: Cotton Mather's Response to the European Spinozists", in Williamson, Arthur; MacInnes, Allan (eds. ), Shaping the Stuart World, 1603–1714: The Atlantic Connection, Leyden: Brill, pp. 175–203 .